It’s been a long time, but after first announcing the Pascal architecture in 2014 and then releasing the GTX 1070 and 1080 in May 2016, Nvidia finally has a new top-of-the-line graphics card for the PC gamers. Say hello to the new GeForce RTX 2070, 2080, and 2080 Ti. And right away, the name of Nvidia’s new GPU indicates that some major changes are in store. 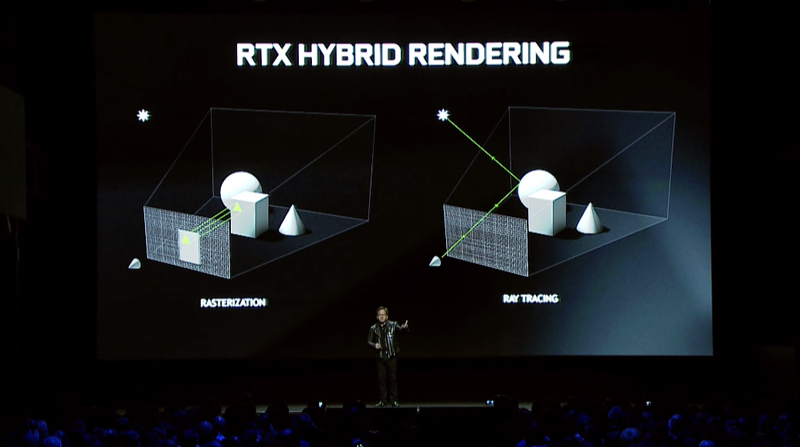 That’s because the 2080 TI features the company’s next-gen Turing architecture, while its RTX designation refers to the card’s new ray tracing abilities, which is a light rendering technique that basically give developers the ability calculate shadows and reflections right down to a single beam of light in order to create hyper realistic graphics like the ones we saw in the jaw-dropping Star Wars Unreal Engine ray tracing teaser released back at GDC in March. Previously, ray tracing—which is often referred to as the “holy grail” of graphics—was so computationally intense that most games relied on less accurate statistical light models to create the shadows and reflections see in a graphics, but with RTX, Nvidia is making the ability to calculate calculate these complicated scenes way faster, and even quick enough for ray tracing to be used in real-time see in another recent teaser demo. Using ray tracing, game makers can now properly calculate light as it bounces off various surfaces. It takes into account things like light scattering , shadows, and even the type of surface each photon bounced off before reaching your viewpoint in the game. We’re talking about the ability to calculate reflections within refractions within even more reflections. And if you do this enough times and with enough speed, you could use this technique to draw an entire game with a completely new level of fidelity that wasn’t really feasible before. 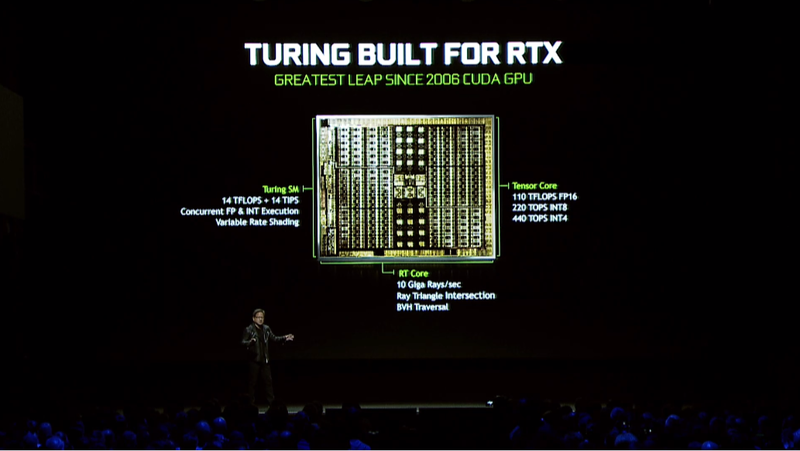 On top of that, the new RTX platform also has a dedicated Tensor Core dedicated to AI processing that Nvidia says on its own is as fast as 10 Nvidia 1080s, along with new special Turing RT cores reserved specifically for ray tracing duties. 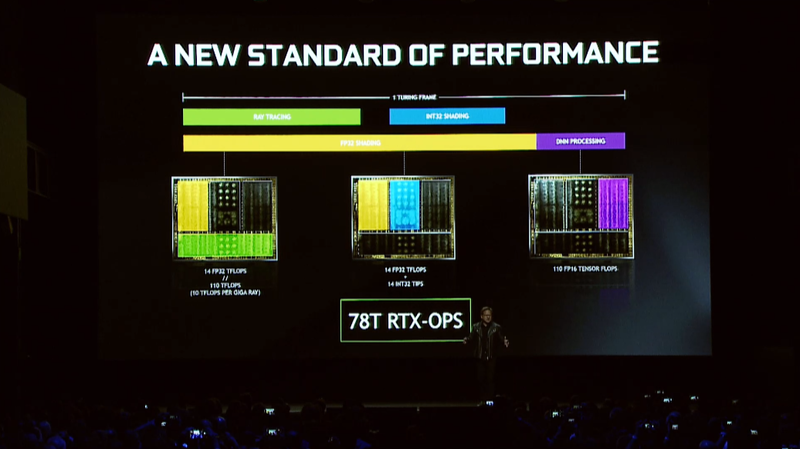 Nvida even says to more accurately judge the performance of new RTX cards, it had to create a new unit of measure called RTX OPS, which is a combination of standard shader performance, floating point integer performance, ray tracing performance, AI performance, and more. OK, so this all sounds fantastic, but let’s not forget that RTX isn’t just for ray tracing alone, because the platform still relies on sophisticated rasterisation techniques and everything Nvidia includes on its previous GPUs. Aside from games, Nvidia says its new RTX platform has major impacts on other things including autonomous driving, medicine, machine learning and more. But let’s not get distracted. So in more down to earth terms, here’s what the first three new RTX GPUs really have to offer. At launch, Nvidia’s 20-series GPUs will be available starting in late September at $500 (£387; UK pricing TBA) for the GeForce RTX 2070, $700 (£542; UK pricing TBA) for the RTX 2080, and a whopping $1,000 (£775; UK pricing TBA) for the RTX 2080 Ti, with pre-orders from manufacturing partners including MSI, Gigabyte, EVGA, Asus, PNY, Zotac and others available later today. 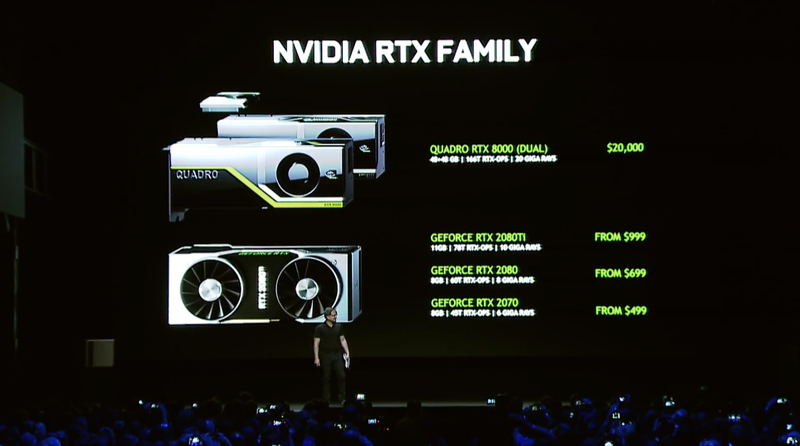 However, if you want to pre-order one of Nvidia’s homegrown Founder’s Edition cards today, you’ll have to pay a little extra with Founder’s Edition RTX GPUs starting at £570, £750, and £1,100 for the RTX 2070, 2080, and 2080 Ti, respectively. The RTX 2070 will include 8GB of vRAM and will have 45T of RTX-OPS, while the standard RTX 2080 moves up to 60T of RTX-OPS, with the top-end RTX 2080 featuring a massive 11GB of vRAM and 78T of RTX-OPS, with Nvidia saying that each card can deliver up to six times better performance than previous comparable previous generation cards. 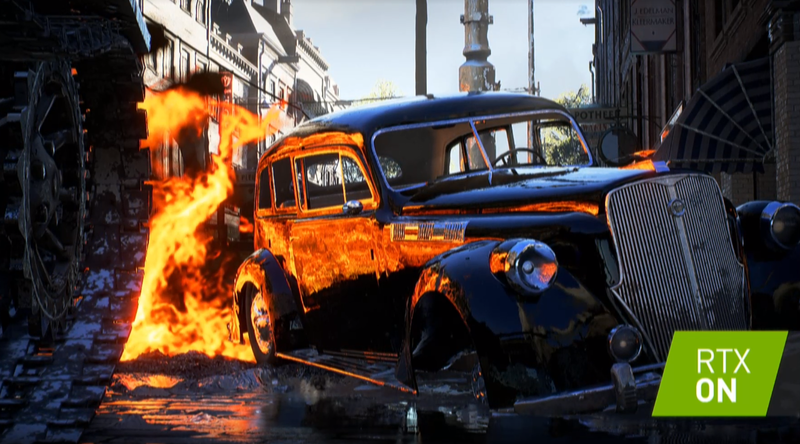 However, that’s a big claim, and things are sure to differ on a per game basis, especially as many titles will require extra work from devs to support many of Nvidia’s new RTX features. Either way, you can be sure we’re going to put the new 20-series cards through the wringer when they become available next month.